VAS explores the regions where artforms crossover, especially those between the fine and applied arts, and we are looking for work which demonstrates conceptual thinking and innovation, as well as outstanding design and craftsmanship in jewellery and silversmithing. 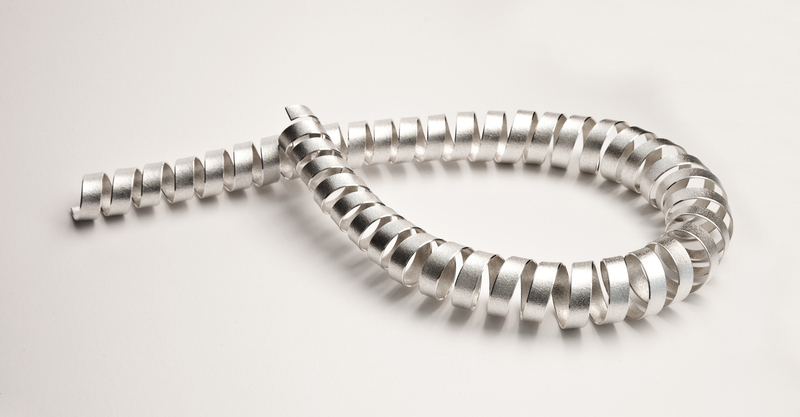 We are delighted to showcase the work of invited jeweller Ute Decker, a reknowned pioneer in the field of ethical practice. Working ethically and sustainably in a global world is one of the most important issues today. Ute is at the forefront of this movement in jewellery: she is one of the first to create a collection in Fairtrade gold, sourced from the Sotrami mining cooperative in the Peruvian highlands. 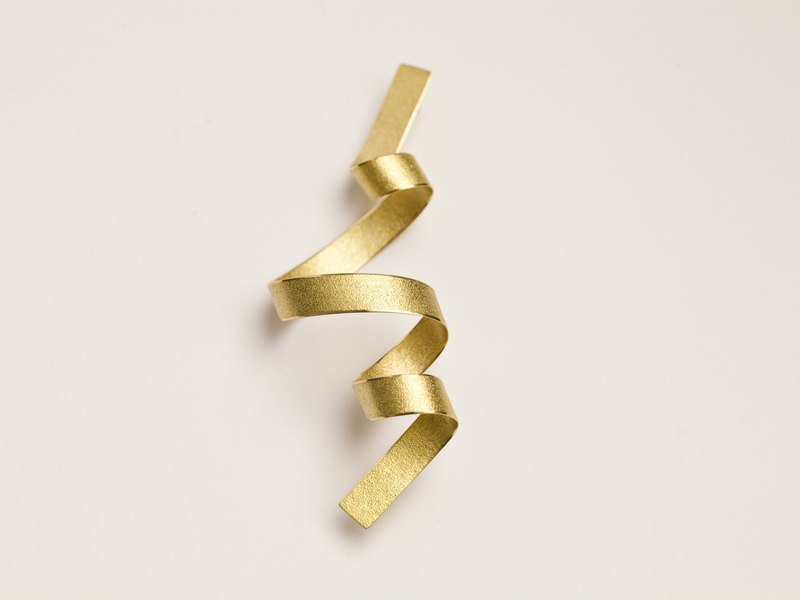 Ute’s jewellery could be said to have a ‘social beauty’, combining both ethics and aesthetics. The aesthetic beauty of her work owes much to its sculptural and architectural properties. Her minimalist yet bold forms play with volume, space and movement, their pure lines reflecting the purity of provenance.